Lots of apricots (see here and here), plums, and now apples. So far the windfall apples have provided plenty of fruit. 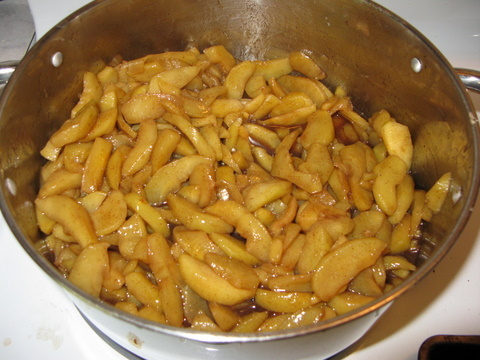 We have not picked any apples off the trees yet, but I have already canned sliced apples and applesauce that can be used this winter. I even made some desserts. 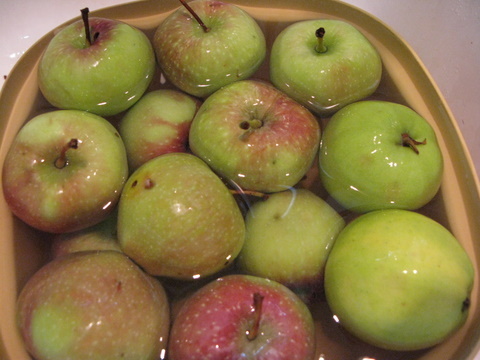 Since we do not spray our fruit trees (organic) we find plenty of surprises in these windfall apples. That means there’s a lot of work that goes in to using them, but the end result is just as good as from perfect apples.